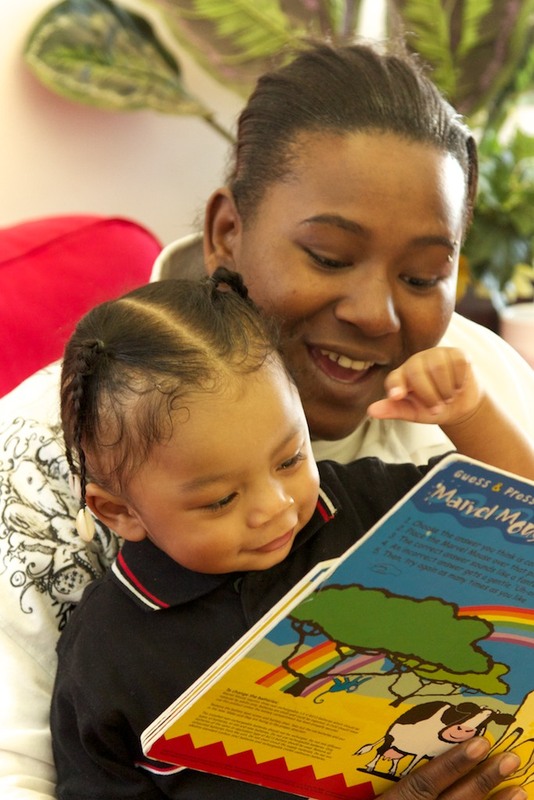 When Smart from the Start joined the 2011 Social Innovator cohort, the program was a collaboration between several City of Boston agencies and the Family Nurturing Center of Massachusetts. With the support of government and institutional funders, Smart from the Start served 670 children and 450 very low-income families per year at six locations across the city. I always say that the Social Innovation Forum is the gift that keeps on giving. Smart from the Start had a promising program model and an effective outreach strategy. Executive Director Cherie Craft and her team brought early learning and family support into the community, meeting potential participants where they were – at laundromats, hair salons and bus stops. In order to deepen and expand its services, the organization needed help articulating its work to the broader funding community. 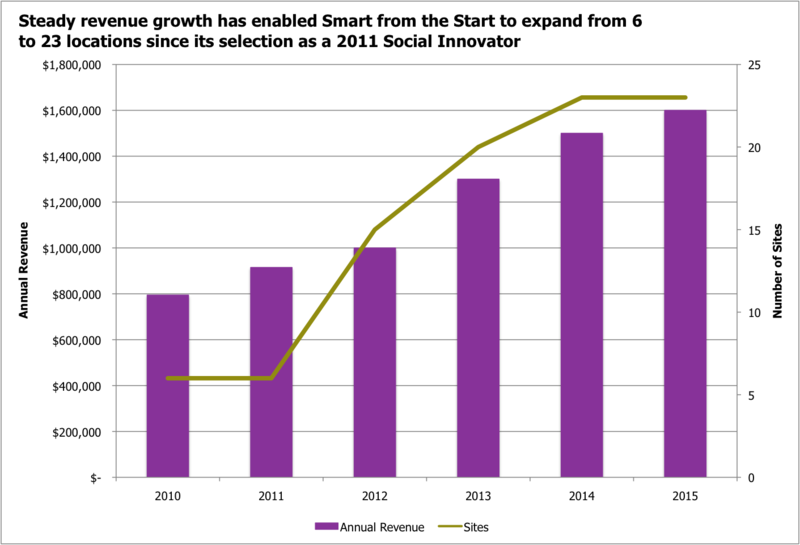 Smart from the Start worked with its SIF consultant to shape a plan for growth, articulate its mission, and develop materials that would help share its work with potential investors – including an audience of over 300 people at the 2011 Social Innovator Showcase. At the Showcase, Cherie met several individuals who joined as founding board members when Smart from the Start incorporated as its own 501(c)3 nonprofit organization 10 months later. Through SIF, Cherie also met Michael Carmen, a senior managing director at a Boston-based investment management company, who soon became a highly engaged donor and Board Treasurer, lending his financial expertise to help the young organization grow sustainably. The SIF team continued to support Smart from the Start, offering strategic guidance and introducing the organization to a range of new foundations and philanthropists. By taking advantage of the increased visibility and networking opportunities offered by SIF, Smart from the Start began attracting new investments, including $100,000 from The Philanthropic Initiative. Cherie’s selection as a Social Innovator also gave her a new confidence as a leader, and the executive coach provided by SIF worked with her to develop practical leadership skills. Since the SIF engagement, Cherie has shepherded the organization through tremendous growth. Smart from the Start now serves 2,000 children birth to five years old and nearly 6,000 young children, school-aged siblings, and adult caregivers at 23 sites in Boston and in Washington, DC. Today, Smart from the Start is a recognized leader in preventing achievement gaps among children from very low-income families. Independent evaluations of the organization’s programs have shown that their model works, with Smart from the Start children scoring between 80-100% on all indicators of school readiness. The organization reports that parents and caregivers are learning new, effective ways to discipline, nurture, and promote positive development, while setting and achieving goals for their own self-sufficiency; and local business and agency partners are coming together in new ways, to restore the village it takes to raise healthy, successful children. The organization has been featured in reports by the National Black Child Development Institute and the Council of Large Public Housing Authorities, and Cherie and her team have traveled as far as Ireland and Japan to teach their successful model to others. Cabbige helps small farms make more money with an online business management tool that includes a pricing tool, inventory management, and reporting and analytics.